Despite reports to the contrary, people in the fashion industry actually do eat. Not only do they eat, they eat well. Proving this fact, Assouline — the renowned publishing house that produces illustrious tomes about fashion, photography, art, and design — has debuted the CFDA American Fashion Cookbook. Delectable entries include Indian Lentil Soup by Naeem Khan, Mushroom Truffle Spaghetti by Isaac Mizrahi, and Grandma Bea’s Pot Roast by Michael Kors. This cookbook has an excellent mix of recipes–ranging from unique to the more familiar. Lately, I’ve been taking the easy way out when faced with having to feed guests and this book only enables my current “can’t be bothered” cooking mood. Check out the numerous irresistible recipes, culinary-themed questionnaires, and a very special foreword by Martha Stewart. Don’t take my (or even Martha’s) word for it; try them for yourself. After all, the proof is in the pudding, er, actually, Rachel Roy‘s chocolate ganache. 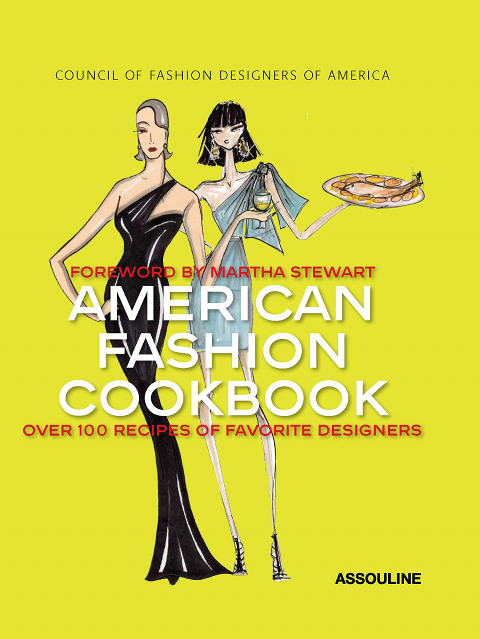 American Fashion Cookbook ($45) can be purchased on Assouline’s website here. 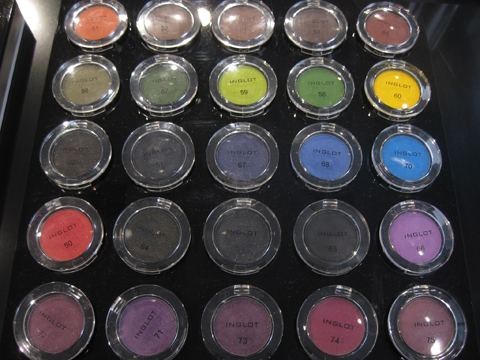 Before I left for Europe, I stumbled upon makeup store Inglot right in the middle Times Square. I was in makeup heaven. I was surprised that not only have I never heard of it prior to this, but I never even seen it before. Figures why though — the Polish company (pronounced in-GLOT, not in-Glo as I keep wanting to say it) opened their first US outpost in Times Square only four and a half months ago in June 2009. 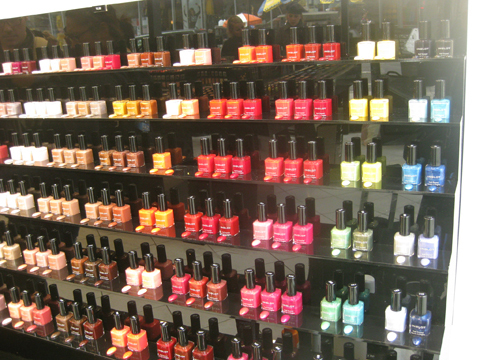 After my first visit, I’m entirely convinced that if it’s color you’re seeking, this is the place to go. 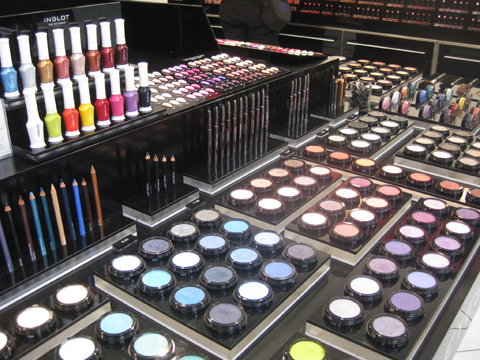 The brand itself hosts over 500 colors in their nail polishes, lipsticks, and eye colors — more than they can actually house in the store itself. Their makeup’s claim to fame is their highly pigmented colors that are all paraben free (parabens are those synthetic waxes that are added to many products and have detrimental health effects when used over a long period of time), and sweat free. Additionally, the lipsticks are infused with Vitamin E.
If you love gel-pot eye liners like I do, they have it here in every color under the sun for $12! They don’t have a website yet and this is the ONLY store in the US, so New Yorkers take advantage, and non-NY’ers add it to your shopping list when you visit. 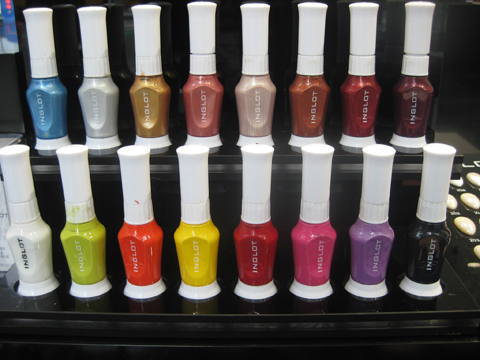 Nail polish fiends, note that they have a whole wall covered with colors in shiny or matte finishes for $10 each. You will love this: all their makeup are priced in quite affordable ranges, starting at $9 for their eye or lip liners, and foundation/concealers staring at $15. 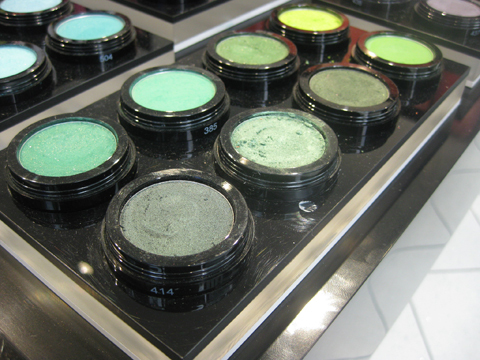 They even have special prices for their “Freedom” palettes, where you can mix and match colors for a lower price. And it could have been just during my short visit, but major extra points for playing some awesome tunes while I was there — The Strokes, Peter, Bjorn and John, Interpol, Keane. Please go and enjoy because we all know good music + colorful makeup = bliss. Obviously. Cookies are my Achilles’ heel. When I got a pack of sugar cookies from Brooklyn bakery, Tasty Morsels, at a recent event, I tried to hide them in the corner of my kitchen counter in an attempt to restrain myself. I tried calling upon my cousins to treat themselves to it before I could. But the next morning with my tea, I decided it couldn’t hurt to have just one. 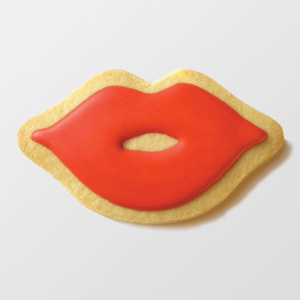 It’s a soft sugar cookie, with a hard frosting that softens when I dip it in my tea. Sugar rush ensues. This continues for three more days until I realize I single-handedly devoured them all before I gave anyone else a chance to get to them. So much for that plan. But seriously, how can you resist cookies so cute? Award-winning artist, Crystal Horton, started the online bakery in February 2009 after she discovered a way to utilize her artistic talent with her love for baking. Using all natural ingredients, Horton can customize any sugar cookie to your liking. Cookies range from $1-$10 depending on the design. To order a custom design, email custom@tastymorselsbakery.com. For more information, check out their website at www.tastymorselsbakery.com. After our subpar meal at Co., Katie and I walked down a couple blocks to Billy’s for a sugar fix. I asked for their yellow daisy buttercream cupcake ($2.25), and Katie got a red velvet ($2.75). 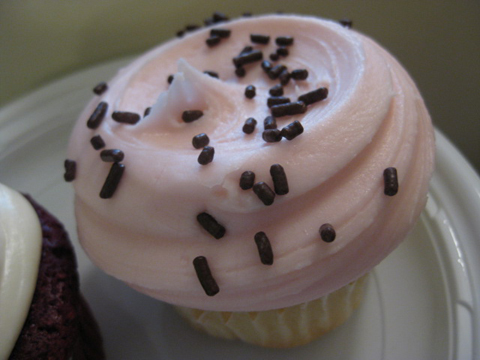 Baby pink with chocolate sprinkles. Lovely. I was probably having a bad day with food though because the cupcake was not as soft, and just not as good as the Billy’s cupcakes I’ve had before. I also ordered a latte that ended up being really watered down. Double Fail. 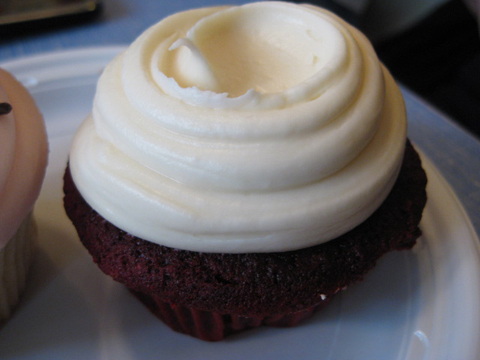 Katie’s red velvet with cream cheese frosting though was extra soft and extra good — which is probably why it’s also an extra $0.50. The debate on best cupcake place in the city continues. What’s your favorite cupcake place? btw 21st and 22nd St.
Katie’s birthday and I are not friends. Her birthday somehow always falls on a week when I’m out of town. I tried to make up for it the best way I know how: food. 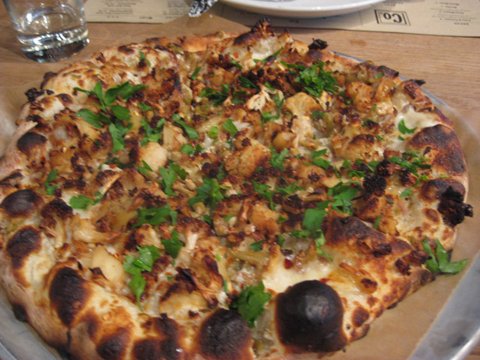 We went to Co., a pizzeria in Chelsea. It’s a decently big space but still easy to miss on the corner of 24th and 9th since it has no clear markings, besides a big wooden door and window display of their cafeteria-like tables. The whole place is actually outfitted in wood and it almost feels like you’re getting your brick-oven pizza served to you in a log cabin. 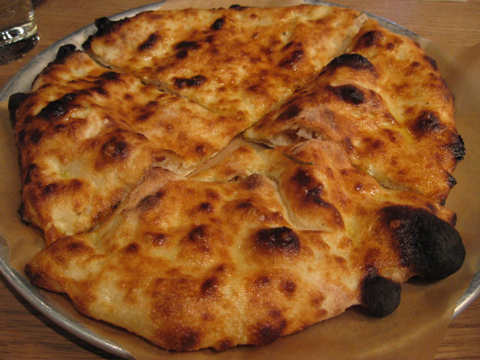 We went for the pizza bianca with ricotta for starters. 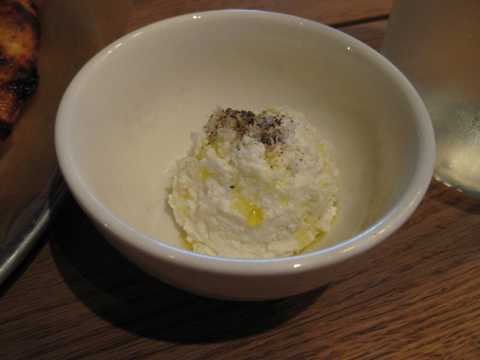 It’s basically their crispy-on-the-outside, chewy-on-the-inside and slightly burnt bread, topped with a little bit of olive oil, and you’re choice to get a side (like we did, the ricotta to use as a spread). It’s a good, simple starter. We decided to split the cauliflower pizza. 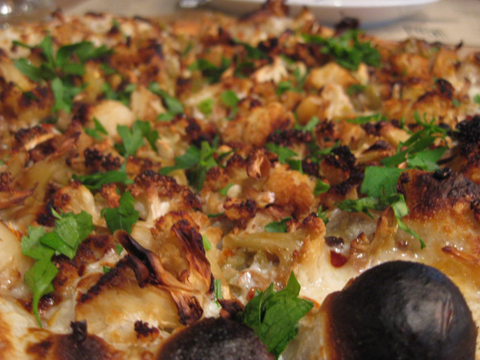 It looked promising: a medley of roasted cauliflower, béchamel, buffalo mozzarella parmesan, green olives, chili, garlic and parsley. It looked amazing too, but when we dug in, we sort of had the same reaction. First, didn’t expect to be as spicy as it was, but it was topped with enough red pepper flakes to be so. Good for me, bad for Katie? Overall though, we thought the herbs had an unfamiliar, dry taste that we weren’t super crazy about. Conclusion: We likes. We didn’t loves. Love Dior mascaras? This will make you happy. Assuming what makes me happy, makes you happy. 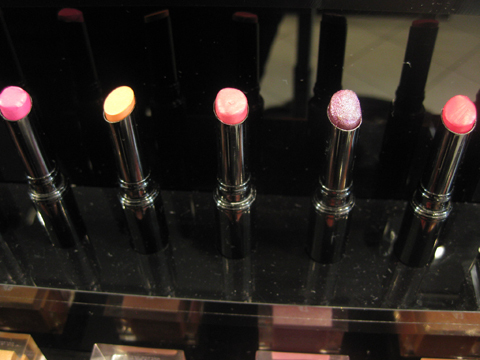 Among my favorite mascaras are the ones that belong to the Dior family. But running $24-$27 makes them quite an investment. 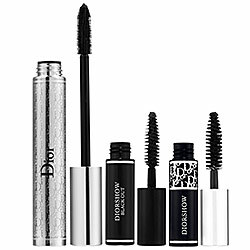 So, when I saw that for a limited time, you can get a full size of Dior’s Iconic mascara along with two mini companions of DiorShow and BlackOut for $29 at Sephora, I was all smiles. 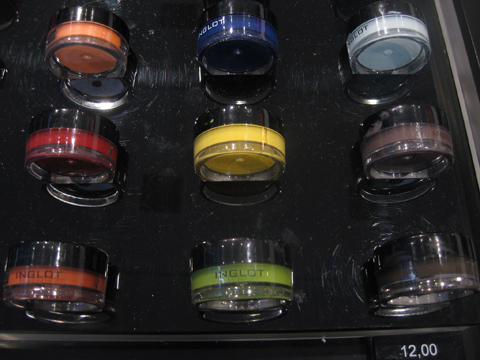 It’s part of their DiorShow Lash Essential Set. If it’s high time for a new lash wardrobe, I say go for this. If this still doesn’t fit your budget, I have an awesome drugstore brand substitute coming up later this week!